The ability for our youth to shape the course of the future is a fact that has been illustrated throughout history. Be it in the form of childhood prodigies or groups of young people opposing oppression, the seed that is planted today eventually will grow into a big and mighty tree. South Africa’s youth has been a shining example, and today, particularly when it comes to innovation, we find a new generation of game-changers on the scene. One such an example is 24-year-old Ludwick Marishane. Born from humble beginnings in Limpopo, Marishane has been crowned as innovator par excellence and one of the 12 brightest minds and best student entrepreneur in the world by Google in 2011. Today he is taking his company, Headboy Industries, and his DryBath brand to new heights. As speaker at the recent Accenture Innovation Conference, Marishane found himself in the company of established global innovators and represented South Africa’s rising young generation of entrepreneurs. His innovative invention, a Bath-Substituting gel called DryBath (a type of gel that people can use to clean themselves), is designed to replace the need for soap, water and skin lotion. At age 17, Marishane claimed the proud title of inventor and became South Africa’s youngest patent filer. Today he holds a Bachelor of Business Science, majoring in Finance and Accounting, from the University of Cape Town. In December 2013, TIME Magazine named him as one of the 30 people, under 30, who are changing the world -- one of only two Africans on the list. DryBath is designed to provide more hygiene to two billion people without adequate water access, who still use the traditional bucket-bathing method. It was also designed to provide a convenient hygiene alternative to affluent households, allowing them to use less water. After graduating from UCT, Ludwick has dedicated his life to running his business, and to working with the Technology Innovation Agency in order to promote technology, innovation and entrepreneurship, especially among young people. He is currently completing his MPhil in Inclusive Innovation at UCT, focusing on developing a viable case that will be used to position Headboy Industries as a privately run technology innovation agency, with an intense focus on conducting measurable commercial experiments that can produce sustainable results for private or public clients. In 2013, Frost & Sullivan awarded him, alongside Archbishop Desmond Tutu, with the Growth Innovation & Leadership Africa Award (GIL 2013). Headboy Industries was also selected as the overall winner at the Inaugural Western Cape Premier’s Entrepreneurship Recognition Awards in 2013. 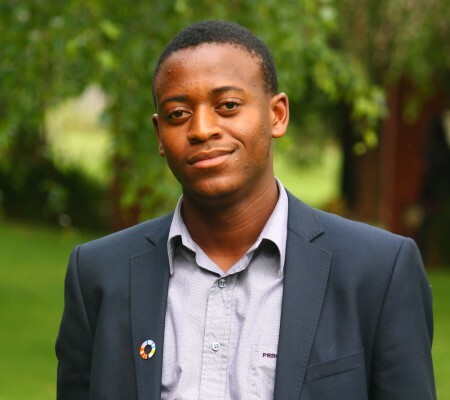 Besides all his accolades at such a young age, Marishane has been referred to as a kid in pursuit of changing the world. “I always say that inequality is our biggest issue throughout the world. It is the biggest social issue. When you look at it philosophically and psychologically, all human beings, all societies are always inequal, so you can never actually get full equality. Every time someone has attempted to do away with inequality, it ended badly. So what you actually want is what I call sustainable inequality. This is a kind of inequality where yes, you still have inequality, but not extreme inequality. “My ideal world would have limited economic inequality. Let us say the richest person in my world would not be a thousand times wealthier than the poorest person. I think that would be a sustainable model to build upon. Another thing is that a lot of people are obsessed with the equality of opportunities and I think that no-one can ever actually guarantee access to opportunities, but what the law can guarantee for us is access to failure. No one who is rich should ever be protected from failing and becoming poor. It is not that poor people do not have access to opportunities, it is that the rich people do not have the opportunity to lose out and become poor. So you have a concentration of capital,” he says. Looking at South Africa, Marishane says he finds that innovation and inventing is active and present, but South Africa as a whole has a low research and development (R&D) spend. According to him, South Africa spends roughly 2% of GDP on R&D, whereas developed economies and more innovative countries have a spending percentage of approximately 6%. Nonetheless, he says South Africa has an innovation surplus compared to the amount of money we spend and that the real problem is an entrepreneurship deficit. “We have universities and all these government research agencies, such as the CSIR, that use great inventions and technologies, but there isn’t enough entrepreneurs to implement those technologies. So th inventions end up sitting on the shelf and it looks great. There are many patents filed every year, but there are no businesses to actually get economic value from those innovations, so we end up just licensing them to someone,” he says. Passionate about CSI, Marishane initiated the Headboy Industries Excel@Uni programme for bursary students to provide them with effective, dedicated support for their personal and professional development while at university. Most of these students are from historically disadvantaged communities, and are commonly the first generation in their families to go to university or get a tertiary education. The programme helps companies that give CSI-based (and some recruitment-based) bursaries to provide their students with the added support (not just academic) they require in order to reach their full potential at university. Excel@Uni has increased student pass rates by 10% on average, and decreased bursary drop-off rates from 40% to less than 10% for Headboy’s clients. Marishane and Headboy Industries however have even more up their sleeve; polymath inclusive-innovation. Polymath Innovation is their advisory practice; focused on helping established organisations, in the private sector or in government, to develop value-adding innovation initiatives that they are currently unable to develop in-house. This is done by conducting measurable commercial experiments that can produce sustainable results for the client. The solution is sold to the client after it has proven to be sustainably implementable and scalable. Marishane says the biggest lesson he has learned to date is that everybody is learning, no-one knows everything, and as you grow older, you realise how much you actually do not know. “Do not let it frustrate you. That is how the world is. Everyone is figuring it out -- from the CEO of the biggest company in the world, to the high-school student who dropped out and didn’t finish matric. The difference is having the discipline to do what you want to do and to be as good as you can at it. “Not everybody has to go and find ways to just make money or become CEOs. Some people have to become artists, others have to preserve culture. But try and be the best at what you do, and believe me, your reputation will bring value. People will pay you for the fact that you are being authentically good at what you do,” Marishane says. One of his biggest challenges, Marishane says, is one he believes many other young entrepreneurs are faced with: learning on their own. Coming from his background and preceding the publicity DryBath created for him, he didn’t have a valuable social network. To him, social capital is more valuable than any funding a business could provide. At the same time, he says learning to manage and grow one’s social capital is equally important. A value he admires in others is perseverance and the discipline to consistently create value. He says this is one of the vital qualities South African youth need to foster. “I think we are raised in a world where music videos, movies and media will constantly tell us that it is great to consume the value created by other people, whether it is alcohol, expensive cars or expensive houses. But there is not enough taught about creating value in order to justify that consumption,” he says. Marishane, who has a deep love and appreciation for psychology and philosophy, admits that he is obsessed with people and that he initially wanted to study psychology. Since his scholarship would not subsidise it, he opted for a degree in accounting – and the rest is waterless history.